IN SEARCH OF ATTICUS FINCH — Enter Marcus Mumford, like a Bull in a China Shop — by Todd Macfarlane | RANGEfire! NOTE: This article was first published in Range magazine, and earned an award from the Nevada Press Association. At approximately 4:15 p.m. on Thursday, Oct. 27, 2017, after a six-week trial and week-long deliberations, the federal jury in the Oregon Standoff Trial returned a unanimous verdict of Not Guilty. 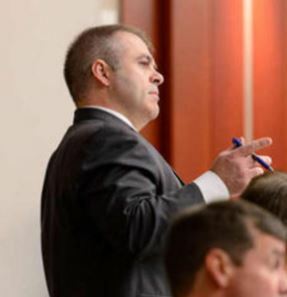 It was a grand slam for Attorney Marcus Mumford in the biggest case of his career. Mumford’s immediate reward for this remarkable victory was to be tackled in the courtroom by a full squad of U.S. Marshals while attempting to address Judge Anna Brown. They took him to the ground, pounded his head into the floor, hit him with a Taser, handcuffed him, and threw him in a jail cell. All this for arguing that his freshly acquitted client, Ammon Bundy, should be released from incarceration—at least long enough to hug his wife, if not spend a few days helping with the family apple harvest. On several occasions over the past few years I have attended high-falutin’ legal functions, where speakers, including lawyers, judges and so-called “experts,” have waxed eloquently about the “noble” legal profession and the nobility of lawyers. And, it would be impossible to count the number of times on such occasions that speakers have invoked Atticus Finch in “To Kill a Mockingbird,” as if he’s the only example they can conjure up of that noble ideal they love to talk about. 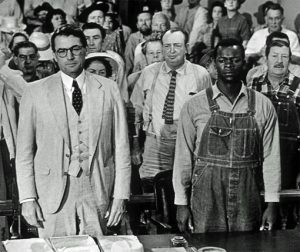 I recently attended a federal litigation seminar where a well-seasoned federal judge was again talking about the nobility of lawyers and the legal profession, and invoking Atticus Finch as the classic example of lawyerly nobility—based largely on Atticus’ representation of a culturally unpopular, underdog client. 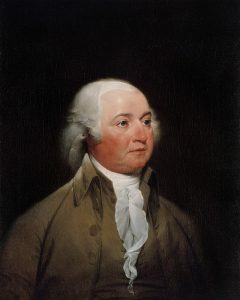 The judge also suggested, however, that if we look back almost 250 years to John Adams, with particular reference to Adams’ legal defense of the British soldiers who killed protesters in the Boston Massacre of 1770, we might actually find a real-life Atticus Finch, who courageously represented some very unpopular clients of that time. But do we honestly have to go back 250 years to find a real-life attorney close to the Atticus ideal that everyone invokes? What about Marcus Mumford, and his representation of Ammon Bundy, who was the epitome of current cultural disdain — especially in Portland, Oregon? Judges, these days, will lament what is often described as the “demise of trial lawyers.” This is symptomatic of the so-called justice system, as cases drag on for years in “discovery,” while lawyers milk them for all they’re worth, but usually settle before going to trial. Add to that the 97+% conviction rate in federal criminal cases and it’s no wonder that hardly anyone—except Marcus Mumford—dares take the risk of going to trial. So much for the constitutional presumption of innocence until proven guilty beyond a reasonable doubt! After spending a week observing the first Oregon Standoff trial, I wrote an article titled: “Addressing Judicial Bias — the Elephant in the Room,” in which I accused Judge Brown of grossly disparate treatment of the parties. Las Vegas Chief Federal Judge, Gloria Navarro, however, makes Brown look mild by comparison. What I have learned since then is that this is not unique to the Bundy cases. According to a growing body of evidence, federal judges have become so accustomed to favoring the prosecution that they no longer seem to recognize what they’re doing. 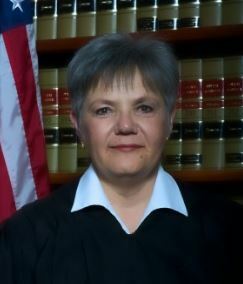 Case in point: A recent article that described the experience of one of Utah’s relatively newly-appointed federal judges, Jill Parrish, who first served for 13 years as a justice on the Utah Supreme Court. Unlike the other more seasoned federal jurists, Parrish wasn’t quite so used to giving the prosecution preferential treatment. In one of her written decisions she openly chastised a federal prosecutor for his work in the case, including efforts to mislead the court. In response, one of the supervising prosecutors requested a favor. 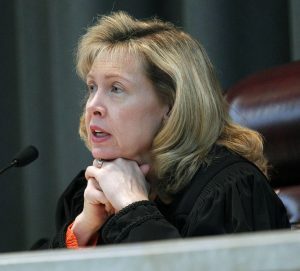 Judge Parrish thought the supervisor might apologize for what had happened but, instead, she was blindsided with a demand to edit and remove the critical language from her written opinion! In an era marking the demise of trial lawyers, enter Marcus Mumford. From the end of 2014, Mumford and his small team of rag-tag freedom-fighters, have tried five lengthy, major federal criminal trials, including representation of Ammon Bundy in the Oregon Standoff trial. Not one of those trials resulted in a conviction of any of Mumford’s clients. I don’t know of any criminal defense attorney in the country today who can boast a similar track record in high-profile federal cases – going up against massive federal resources and, and a stacked deck, resulting in a 97+% conviction rate. Most attorneys (including me) are apprehensive about tangling with increasingly biased, and vindictive judges. (COMPARE A View From the Trenches and Welcome to the New Normal). But not Mumford — who believes that the justice system is supposed to be an adversarial system. In his bulldog approach, Mumford has no reservations about clashing with federal judges who often demonstrate clear preference for the prosecution and their employer—the federal government. And, such clashes have become as legendary as Mumford’s record of winning complex federal jury trials. “It’s one of the best compliments I have ever received,” says Mumford. Mumford also had some epic clashes with Judge Anna Brown in Portland, in which she openly demonstrated her disdain for the attorney and routinely threatened him with contempt citations. 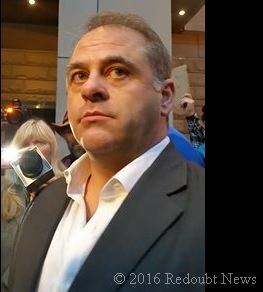 In spring 2016, just six months prior to the Oregon Standoff trial, he clashed with Utah Chief Federal Judge, David Nuffer. It was reported that Mumford, known for two primary vices—salty language and caffeinated drinks—may have dropped an F-bomb or two.In admitting to his excessive language that day in court, Mumford said, “I was raised better than to use that kind of language in court,” and pointing out the presence of a reporter, said ” I will probably be getting a call from my mother tonight.” As it turns out, it was a text. “But Judge Nuffer really got after me, and threatened me with contempt citations, including fines, for my zealous advocacy of my client, Scott Leavitt.” But, following an eight-week jury trial, Leavitt was fully acquitted of 86 counts of white-collar crimes. It’s all part of an amazing record that speaks for itself. But it was Mumford’s final exchange with Judge Brown in Portland that captures the essence of the fearless, warrior, bulldog—who doesn’t know the word “quit”—that sealed his reputation as public enemy number one to the U.S. Department of Justice. While Mumford sat in a cell — as he says, “trying to think critically about every life decision I had ever made that could have led me to that point” — his staff went down to the Marshal’s office to see what kind of paperwork they could produce. 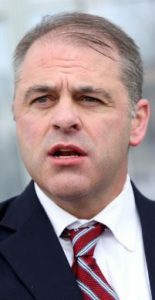 After searching for approximately 20 minutes, a marshal came out and admitted that either there was no order or they couldn’t produce any paperwork to justify continuing to hold Ammon Bundy in custody. Unfortunately, that was just the beginning of Mumford’s troubles stemming from his court victory. First he was charged with impeding federal officers and causing a disturbance. Then the chief federal judge for the District of Oregon sought to have him banned for life from practicing in the federal courts of Oregon. Mumford is still fighting that, but the charges against him were dropped like a hot potato when the visiting judge overseeing the case ordered that the U.S. Marshals produce all text messages amongst themselves leading up to their assault on Mumford. Given their respective track records, it seems to be the consensus that Marcus Mumford and Judge Gloria Navarro should be kept as far apart as possible. WHO IS MARCUS MUMFORD, AND HOW DID HE BECOME SUCH A BULLDOG? Marcus Mumford grew up as the son of a genteel country lawyer in a family of competitive brothers, and although his family noticed that Marcus was very smart, his tongue couldn’t quite keep up with this brain. What he lacked in natural speaking talent, he made up for with hard work and careful listening skills. That’s something young Mumford picked up while coming of age on a dairy farm in Clifton, Idaho. After serving as a military attorney in the Judge Advocate Generals Corps, Mumford’s dad became a rural county prosecutor, in southern Idaho. His parents decided that with six young sons, they needed a farm on which to raise them. So his dad left the JAG Corps, and they returned to Idaho and took over the family dairy farm where his father had grown up. “There is no way to describe all the ways the experience of growing up on a farm teaches lasting life lessons and gives you a connection to reality,” Mumford says, “including the law of the harvest and the idea that you reap what you sow.” Some lessons he learned the hard way from his Uncle, Jeff Mumford, who, in his quest for perfection in operation of the farm, fired Marcus three times before he turned 15. Throughout his life, Mumford’s stuttering has been both a blessing and a curse. His parents did everything they could to help Marcus with his speech but they also took a “get tough or die” approach. Once, they encouraged him to enter an essay contest. The rub was that the essay was supposed to be recorded on a cassette tape, for submission. Young Marcus wrote a great essay, but he stuttered so badly he couldn’t make a suitable recording, and his essay was disqualified. Idaho congressman Richard Stallings heard of his plight, however, and read the essay into the congressional record. Stallings then offered Marcus a congressional internship in Washington, D.C., fresh out of high school. Marcus’ legendary work ethic gave him the opportunity to work with some of the best – including Nolan. Based on his stellar law school record, he landed a judicial clerkship with federal 10th Circuit Court of Appeals Judge, Monroe McKay. From there he landed a job with Skadden, Arps, Slate, Meagher & Flom, one of the biggest law firms in the world. It was during that phase of his career that he met and married Michelle Quist, who was likewise a 10th Circuit appellate court clerk, who also went on to work at a big NYC power law firm, and became a very accomplished attorney in her own right – as well as mother of seven children, including a set of twins, and a special needs child with Down Syndrome. 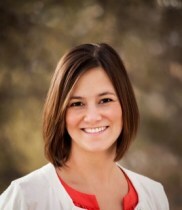 She is currently a columnist and editorial writer for the Pulitzer Prize-winning Salt Lake Tribune. But there are a lot of challenges associated with being a successful trial lawyer. For one thing, it’s a financial rollercoaster, virtually impossible to really have more than about one big case going at a time. And if you happen to be a perfectionist, look out. According to Michelle, during trial and in the weeks leading up to it, it’s not uncommon for Marcus to work 24/7, with just a cat nap at 4 or 5 a.m., before getting up and repeating it all over again. Mumford has maintained this kind of schedule for months on end, in multiple, marathon federal jury trials. What exacerbates this most, and is likewise a blessing and a curse, is Marcus’ quest for perfection, to the point that he is willing to drive himself to unquestionable extremes in striving for success for his clients. These are great characteristics to have on your side if you’re the client, but not so much if you’re the wife and/or children. “Business and politics separated John Adams from his wife and family for much of the time. When Adams was a young lawyer, his travels to distant villages on the court circuit kept him away. Even when he was at home, Abigail scolded him for staying out late at night while attending various meetings. After 1776, he spent weeks and months abroad or in Philadelphia on government business. It seems that John Adams spent little time with his family. Needless to say, Mumford acknowledges this can be really tough on a healthy family life. In the end, his remarkable record has come at a great cost to his marriage (which didn’t survive), family—and his body. “One time I broke my foot on the first day of trial,” Mumford says, “but couldn’t do anything about it. It’s one of those life lessons you learn growing up on a farm. You have to make hay while the sun shines. The show must go on.” When the trial ended a month later, he had to have his foot re-broken and properly re-set. On another occasion, while Michelle was pregnant, she and two children were involved in a bad car accident, but Marcus was not in a position to be there for them. And when their young, special-needs son was in the hospital fighting for his life, Marcus was in court fighting for his client. With this in mind, one can’t help but wonder whether Marcus Mumford is on a similar path. 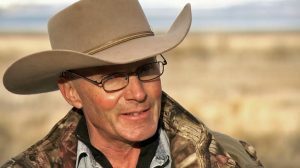 The irony of it all brings this discussion full circle, because if there was another human being, who was not a trial lawyer but who might have embodied many of the same virtues represented by Atticus Finch (that few actual lawyers seem to possess), it was LaVoy Finicum. So, in the end, as much as I admire Marcus Mumford and the legal successes he has achieved against all odds, in a world inhabited by mere mortals, the reality is that there is no such thing as a real-life, flesh and blood Atticus Finch embodied in just one human being — although Marcus Mumford may come as close as any other real-life modern trial lawyer in the past 250 years.